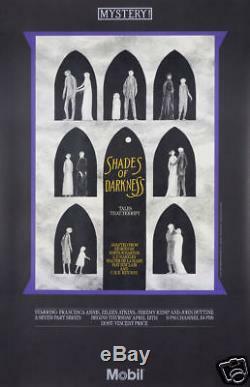 This is an ORIGINAL FIRST PRINTING of this 1980 poster by the famous illustrator Edward Gorey. It is one of the many posters he produced for PBS's Mystery! This particular poster is entitled'Shades of Darkness,' with the subtitle'Tales that Terrify.